Did You Notice the Same Dog in Widows and Game Night? Is This the Hardest Working Dog in Show Business? Hey, Academy: We have a very, very good girl for your consideration. 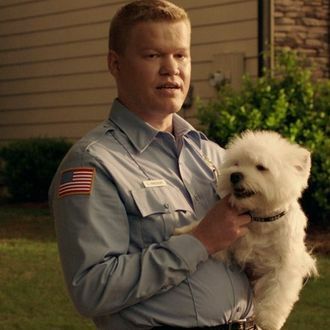 As delightfully confirmed by The Ringer, this year’s critically acclaimed films Widows and Game Night both starred the same dog, a 3-year-old West Highland white terrier named Olivia. (She also starred in Netflix’s Insatiable, but we don’t like talking about Insatiable, eh?) There are a bunch of fun facts we could spew your way about the pooch, but the ones we’d really like you to know are the following: 1) She follows a raw diet, but loves cheddar cheese 2) She’s a snuggle enthusiast, and 3) She received frequent “on-site fur touch-ups” while shooting Widows, much to the delight of Viola Davis. “Within the first five minutes, I’m kissing the dog, I’m holding the dog, the dog was on my chest,” Davis recalled. “I love that dog, and she came to me so easily.” Yeah, we have a feeling Olivia preferred some cuddle action in favor of blood baths.